A COUPLE has praised quick-thinking firefighters and two Good Samaritans for saving their property from certain devastation. 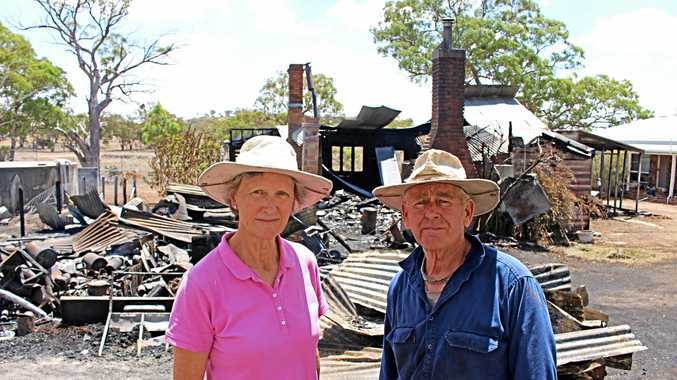 Margaret and Clive Smith lost three structures at their Goldfields Rd property on Saturday, but the outcome could have been much worse, the couple say. "My husband has been doing a lot of welding over the years and a window was open and a spark must have got out,” she said. 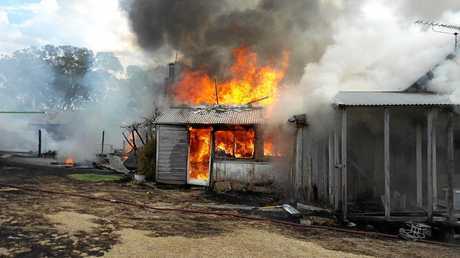 "It's very dry and by the time he noticed smoke it was really too late to stop anything. "We were really just trying to stop the flames getting to the other buildings but because the buildings were inter-connected it just went from one to the other. A mere two metres was the difference between their house going up with the rest of the structures. "We were very fortunate that a couple camping next door saw the smoke and decided to see if they could help,” Margaret said. Luckily, the Smiths had a five-metre pool full of water that they could bucket water from. 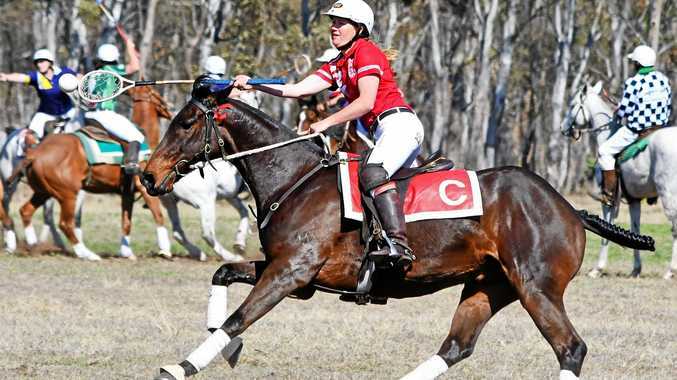 "They were all incredibly quick getting out here,” Margaret said. "I think the ambulance might have arrived first and then two urban units from here and three local brigades turned up with the new fire tanker and a couple Warwick brigades. "When they arrived we'd given up trying to save a couple of the buildings and were just trying to protect our house more. As for getting anything out of the house, there was just no time to even think about that. The cottage had gas bottles - Clive at least had time to take them off. 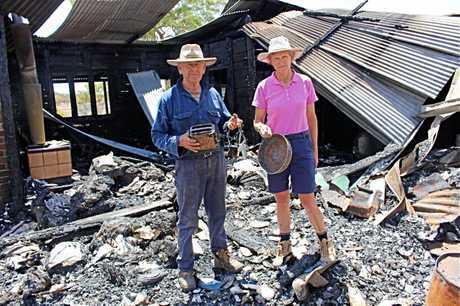 Margaret and Clive both gave a heartfelt thank you to all those involved in saved their home.